The Institute of Advanced Motorists (IAM) is calling on the government and all road users to implement radical changes to improve road safety across the nation in the wake of the latest UK road casualty figures. Statistics published last week by the Department for Transport relating to the number of road deaths in 2014 showed a four per cent increase in fatalities in comparison to the previous full year. Meanwhile, the number of those killed or seriously injured rose by five per cent year-on-year and a six per cent rise in casualties of all severities was recorded – the first annual rise in overall casualty numbers in 18 years. Responding to these increases, IAM director of policy and research Neil Greig commented: "We are clear on what needs to happen. We call again for road safety targets to be reintroduced – they are the only clear way of ensuring reductions are measured and achieved. "There also must be a greater focus on driver and rider quality and incentives for companies and individuals to continuously develop their skills. 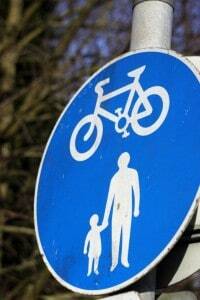 There also needs to be a focus on tackling pedestrian deaths, an area which is often ignored." He added that improved facilities to segregate vulnerable pedestrians and motorists is something local authorities up and down the country should now be looking at, while drivers themselves need to be more alert to the dangers they pose to others. Campaigns to educate pedestrians regarding best practice to stay safe should also be promoted, as in many cases, it is pedestrians themselves that are at fault.